On 31 January, now known as Bloody Friday, tensions came to a head when 60,000 demonstrators clashed with police in George Square. The ‘Scottish Bolshevik Revolution’ (so termed by the Secretary of State for Scotland) erupted, with tanks and 10,000 soldiers immediately despatched to the city to enforce order. 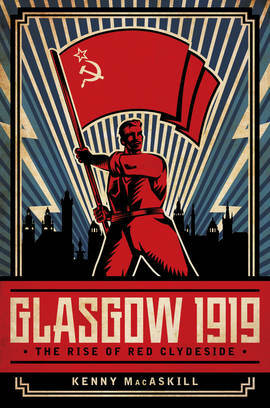 The strike may have failed, but 1922 saw the arrival of Red Clydeside, as the Independent Labour Party swept the board in the general election. Now, 100 years on, Kenny MacAskill separates fact from fiction in this adept social history to explore how the events of that fateful day transpired and why their legacy still endures. Drawing on original material from speeches and newspaper reports of the time, MacAskill also paints a vivid picture of the solidarity amongst the working class in a rousing testimony to Glasgow’s long radical history.